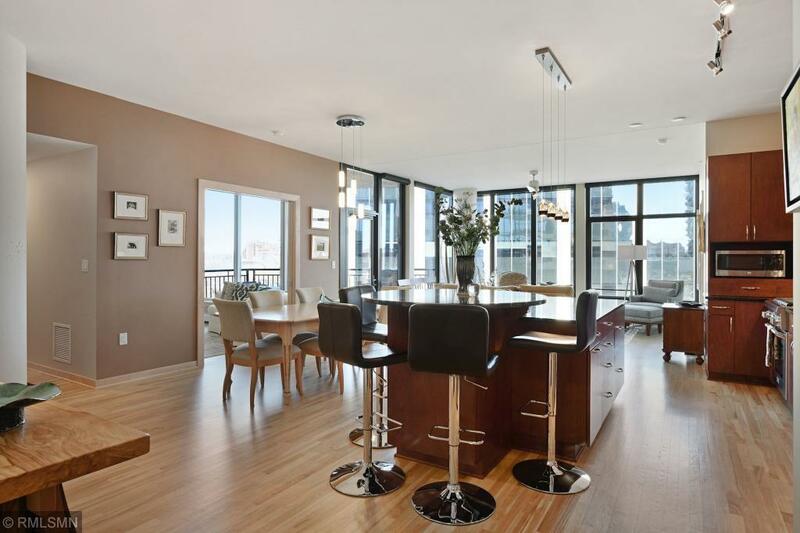 Spacious Stonebridge corner-unit with walls of glass and views of Gold Medal Park! Open floorplan with two large balconies, two bedrooms and a den for an optional third bedroom. $60,000 in upgrades, hardwood floors and fresh paint throughout. Highly sought after Mill District neighborhood that features Farmerâs Market, biking and walking paths, Trader Joeâs, US Bank Stadium, The Guthrie, restaurants and more!